Each team project comprises a central copy of the project—called the "team directory"—that manages the shared resources, and one or many local copies, each belonging to a co-author contributing to the team project. A team project's team directory may be located on Axure Share, an SVN server, or a network drive. Each user can check out pages and other project attributes (masters, generators) for editing in their local copy. When a page is checked out to one user, no other user can edit that page. When changes are complete, the user can check in their changes to the team project. The checked-in changes can be viewed by other users, and the checked-in pages and attributes are freed up to be checked out by another co-author for further editing. Team projects can use Axure's custom check in / check out protocol when the team directory is on Axure Share or Axure Share Enterprise. When the team directory is located on a network drive or SVN server, the team project instead uses the open-source Subversion (SVN) protocol to manage check-ins and check-outs. Learn how to set up an Axure Share or SVN team project in our Creating and Sharing Team Projects article. Changes that you make in your local copy must be either "sent" or "checked in" to the team project before your co-authors can see them. Below, you'll learn how to "check out" items for editing and then send or check in your changes after you've made them. You'll also learn how to get changes from the team directory so that you can see your teammates' changes. To edit a page, master, or generator, you must check it out. When you check out an item, you'll also automatically get the latest changes to it (if you don't have the latest version already) and it will be reserved for you exclusively. You can then edit on the canvas like you would a page or master in a regular .rp file. Some project properties can be edited without a check-out. These include styles, global variables, widget note and page notes fields, and adaptive views. 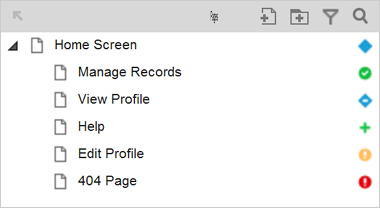 You can also add, delete, and reorganize pages and masters without a check out. This allows multiple people to work with these project properties at the same time. Any changes to items in this category will be sent whenever you do a check-in on the project to a page, master, generator, or when you perform a "Send All Changes" or "Check In Everything". When you check in, you send to the team directory all of the changes you've made to your local copy. For items you've checked out (i.e. pages, masters, and generators), a check-in will also release the item so that others are able to check it out for further editing. Following on the above, it's also good idea to regularly get your co-authors' changes. Go to "Team > Get All Changes from Team Directory" to update your entire local copy with the latest from the team directory. 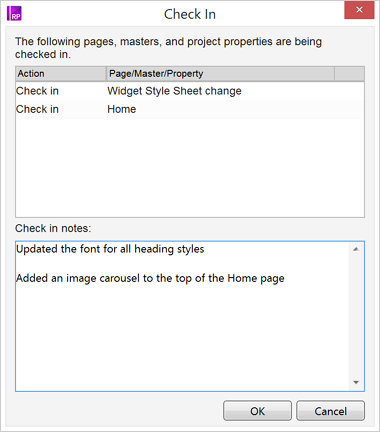 You can also right-click a page or master and click "Get Changes" to update that particular page or master, along with any project attributes used by that page or master. For generators, open the dropdown in the top-right corner of the generator dialog and click "Get Changes". You can "send changes" when you want to update the team directory with your recent changes but want to keep pages, masters, or generators checked out to you for further editing. Go to "Team > Send All Changes to Team Directory" to send everything. You can also right-click a page or master and click "Send Changes" to send your changes to that particular page or master plus related project attributes. For generators, open the dropdown in the top-right corner of the generator dialog and click "Send Changes". The "Send Changes" dialog will open. At the top of the dialog you'll see a list of all the project items (pages, etc) with changes to send. At the bottom, write your change notes. Each time you send changes, a new revision of the team project is stored in the team directory. 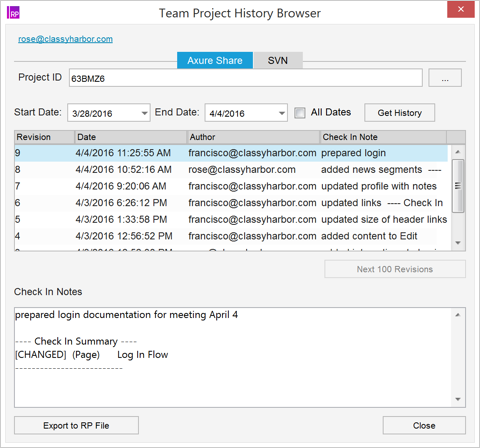 You can access those revisions in the Team Project History Browser (explained later in this article). To cancel changes made to a generator, open the dropdown in the top-right corner of the generator dialog and click "Undo Check Out". To cancel all changes in your local copy, go to "Team > Undo All Check Outs". If you try to check out an item that's already checked out to another local copy—either to a co-author or to another of your own copies—you'll see the "Unable to Check Out" dialog. The default option in this dialog is "Do Not Edit", which leaves the requested item alone. You'll be able to see the username of the author to which the item is checked out. You can choose "Do Not Edit" and then contact the team member to ask them to check in the item so you can work with it. You can alternatively choose the option "Edit w/o Check Out". If you choose this option, you'll have an "unsafe check-out" of the item. You'll be able to edit the page, even though it's checked out to your team member. 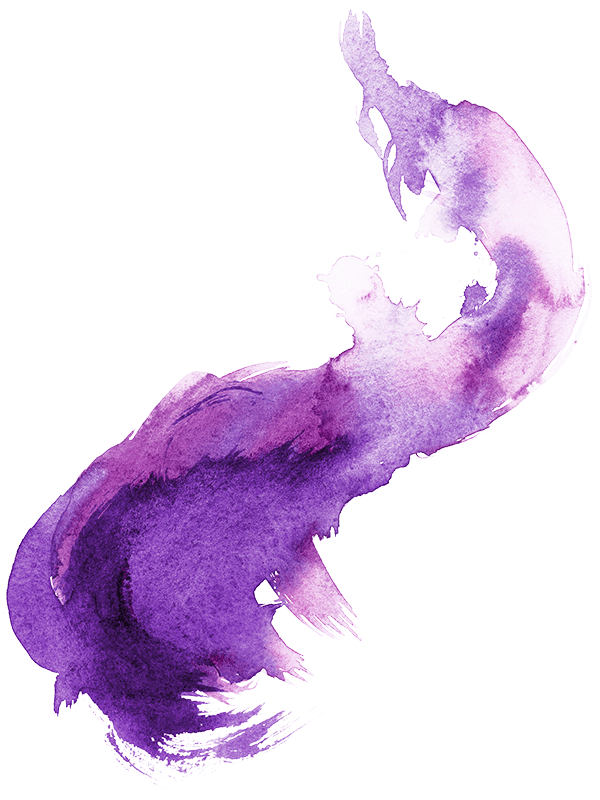 You can view a list of all pages, masters, and generators, along with information about each one, including: whether it is checked out and to whom; whether there are changes in the team directory that aren't in your local copy; and whether you have made changes in your local copy that haven't been checked in. Go to "Team > Manage Team Project". Click "Refresh" to get an updated list of items and their status. You can right-click any listed item in the dialog and choose to get changes, send changes, check in, check out, or undo a check-out. Every time items are checked in or changes are sent to the team directory, a "revision" is created—a saved version of the entire team project at that moment. These revisions are browsable and exportable via the Team Project History Browser. Go to "Team > Browse Team Project History". Use the "Start Date" and "End Date" fields to specify the time range in which you want to see the revisions. Click "Get History" to get a list of all revisions from within that range. You'll see a list of revisions in the center of the "Team Project History Browser" dialog. Click a revision to see the change notes and a list of all the project items that were changed in that revision—you'll find them in the "Check In Notes" section at the bottom of the dialog. You can export the currently selected revision to an .rp file by clicking "Export to RP File" at the bottom-left of the dialog. 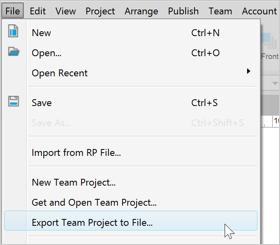 You can export a team project to a regular .rp file. This can be useful if you want to move the team directory or otherwise preserve the current state of a team project. To export your local copy to a .rp file, go to "File > Export Team Project to File...". You can also retrieve any revision as a standalone .rp file using the method described in the previous section. You typically won't want to do an unsafe check-out as it can lead to a conflict. A conflict occurs when multiple local copies edit the same item at the same time, and the team directory can only choose one set of changes to accept. The other set(s) of changes are dismissed, and will need to be manually reapplied. But an unsafe check-out can be useful if there's an issue preventing a page from being checked in from the local copy where it's currently checked out—like if there's a hardware issue with the computer that has the local copy, if there's a temporary problem connecting to the team directory to do a check-out, or if a colleague forgot to check in before leaving for vacation. To check out a generator, open the generator and click "Check Out" in the top-right corner of the dialog. You can also use the "Team > Check Out Everything" menu command to check out all of the pages, masters, and generators in the team project. Keep in mind that check-outs are per local copy and not per user. That is: if you have a local copy on your desktop computer and another one on your laptop, a check-out from your laptop will not result in that same item being checked out to you on your desktop computer. Instead, your desktop computer copy will reflect that someone with your user account name has that item checked out, which will be the case—because the "you" on your laptop has it checked out. To check out a page or master, right-click it in the Pages or Masters pane and choose "Check Out" from the context menu. You can also access this this menu option by clicking the page or master's status icon. Another way to check out a page or master is to first open it on the canvas and then click the "Check Out" button appearing at the top-right corner of the canvas when you hover over the diagram. To check in a generator, open the generator and click "Check In" in the top-right corner of the dialog. You can also go to "Team > Check In [current page name]" or "Team > Check In Everything". To check in a page or master, right-click it in the Pages or Masters pane and choose "Check In". You can also access this this menu option by clicking the page or master's status icon. Any changes you've made to items that don't require a check-out (as noted above) will be sent at this time, too. The "Check In" dialog will open. At the top of the dialog you'll see a list of all the project items (pages, etc) being checked in. At the bottom, write your check-in notes. 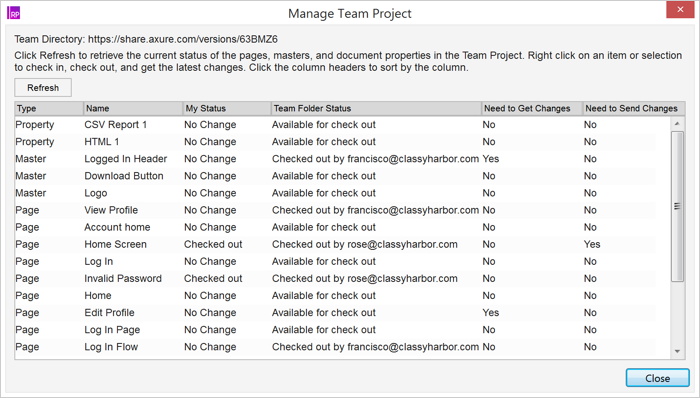 Each time you check in, a new revision of the team project is stored in the team project directory. You can access those revisions in the Team Project History Browser (explained later in this article). It's a good idea to check in your changes regularly so that your team members can see them, and also so that you have a saved record of your work. You can cancel all your changes that have not been checked in and revert to the latest check-in by using "Undo Check Out". This menu option will also revert the item to being available for check-out. 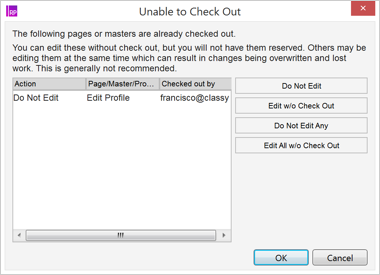 To cancel all changes you've made to a page or master since you checked it out, right-click its name in the Pages or Masters pane and click "Undo Check Out".